Peter Gerrand is an Honorary Professorial Fellow in telecommunications at the University of Melbourne. He spent 20 years with Telstra and its predecessors as an engineering researcher and network planner, his last jobs in Telstra being head of Forward Network Planning and head of Network Strategy, in the early 1990s. In 1993 he returned to academia as a Professor of telecommunications, first at RMIT University and then three years later at the University of Melbourne. As an independent expert he worked part time as a consultant to the regulator AUSTEL and later the ACCC. From 1996 to 2000 he was the founding CEO of Melbourne IT, taking it to a successsful float on the ASX in 1999. 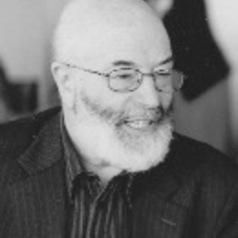 He was awarded the Charles Todd Medal in 1998 for services to the telecommunications industry, and an Australian Government Centenary Medal in 2003 for services to public policy in science and technology. Independent of his day jobs, since 1994 he has been honorary Editor-in-Chief of the Telecommunications Journal of Australia, which has become Australia’s prime journal for serious policy debate on telecommunications, the Internet and the digital media.